On October 5, 2017 the world changed forever. Feminism changed forever. Let’s be realistic, feminism has always been something people either believe in or completely shy away from. A lot of people associate feminism with bitchy, angry women. But the association with anger is because women have a reason to be angry. When Ashley Judd came forward sharing her experience with Harvey Weinstein, women all over the world were finally given the courage to come forward with their experiences of assault. The #MeToo movement exploded through the world like a long awaited bomb. The #MeToo movement isn’t for everyone. Not everyone wants to share their painful story and would rather move forward with their lives dealing with their pain in their own way. That is completely legitimate. But for those women, there are others who will and can fight for them. Along with the movement, a burst of creative energy has emerged from artists, actresses and musicians. With Donald Trump as our president, there’s all sorts of rage and fear about how to move forward. But these times are met with a new height of feminist art. 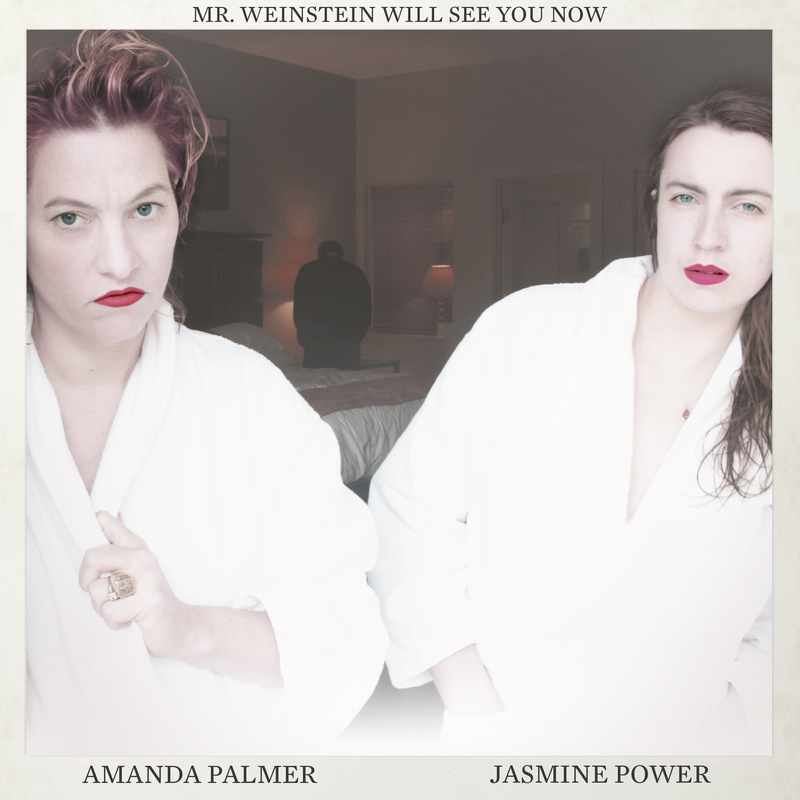 Today, Amanda Palmer and Welsh musician, Jasmine Power, have released their new (and sure to be controversial) duet, “Mr. 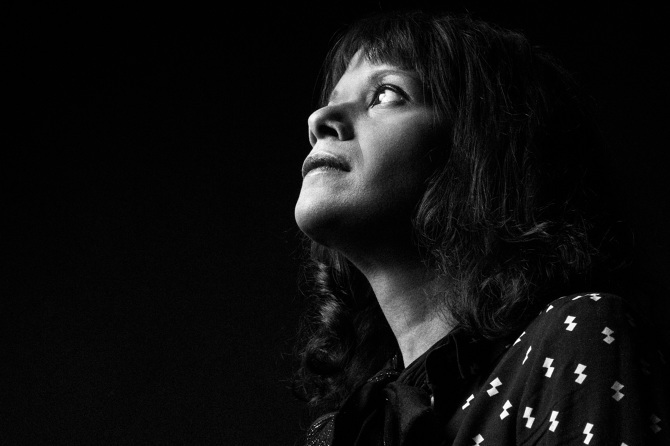 Weinstein Will See You Now.” It’s hard to put what strong feelings this song evokes into words. It’s completely chilling. It’s moving and haunting. The first time I listened to it was early in the morning as I drank my first cup of coffee. 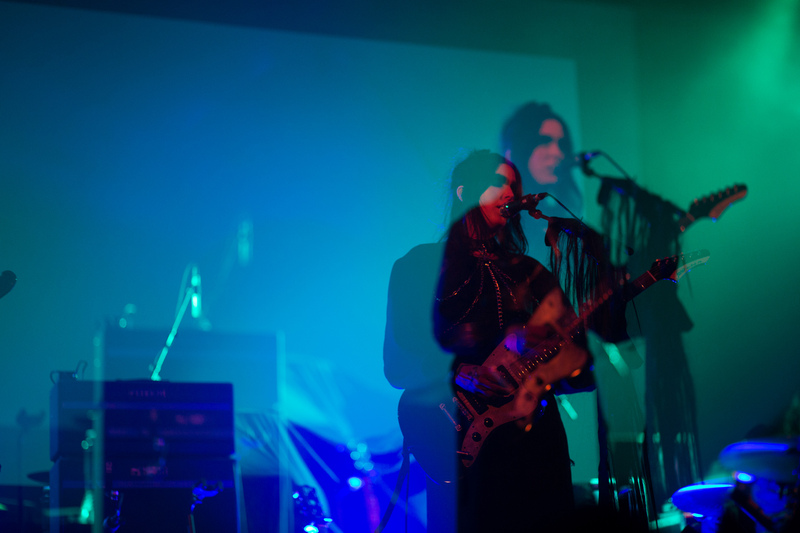 Tears hit me as the song built and swelled in its cinematic way. The second time I listened, I was driving home in a threatening and foreboding thunderstorm. This time I felt rage yet empowerment; ready to fight back so this won’t be a norm for the next generation. Problems will not end overnight. We can yell and scream, “Time’s Up,” until we’re blue in the face but it won’t bring on immediate change. But, we can continue to fight and call attention to the problems at hand. Songs like “Mr. Weinstein Will See You Now,” will become anthems and catalysts for change. Thanks to Amanda Palmer and Jasmine Power this song will open a dialogue for listeners. 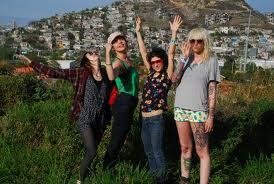 Amanda Palmer said, “Every time I play the track for one of my female friends, we have an important moment together. I don’t know if most people will even understand this song – and I don’t care.The women we wrote it for will understand.” Here’s to a future of women having important moments together that will bring forth the change we need. Thank you, Amanda Palmer and Jasmine Power, for such a heartfelt piece of music.